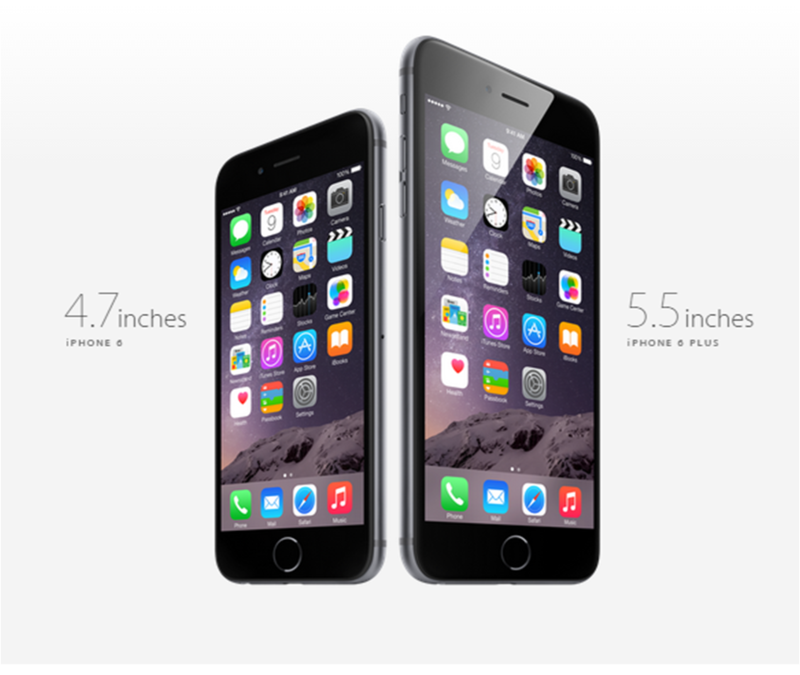 iPhone 6 and 6 plus – Bigger Thinner and Efficient! 19th September 2014, Apple launched its new creation of iPhone which is a perfect accord of software and hardware. A phone with pre-orders in the stores from 12th September 2014, this time it is 2 big things – iPhone 6 and iPhone 6 plus. Bigger yet thinner, they have come up with this beautiful combination with a perfect design having completely new iPad-style design. All made with anodized aluminium, stainless steel, and glass. Both the new phones are not only well designed but also with better and faster processors, cameras, and apple’s new apple pay payment system. Rounded corners with an ultra thin body, 4.7-inch is iPhone 6 and 5.5-inch is iPhone 6 plus. When you hold it in your hand you will find there are no distinct edges, no gaps, just a smooth, seamless bond of metal and glass that feels like one continuous surface. Making it thinner and larger was not an easy task; it included major compressing of powerful technologies and making smaller chips. iPhone 6 is 6.9mm thin while 6 plus is 7.1mm thin. It is observed that both the phones have a marked improvement in the cameras in the form of sensor upgrades, improved tone mapping, better noise reduction, and new “Focus Pixel” technology, which improves the phone’s ability to select autofocus points. For videos it has got a new 240fps slo-mo option, along with support for shooting in 1080p at 60fps. Talking about the front cameras, it is f/2.2 aperture that lets in more light and new burst mode capabilities. Varying in particular features both models have 64-bit A8 chip. iPhone 6 plus has 3 major different features that are optical image stabilization for the camera, a longer battery life, and an iPad-style landscape mode that displays more content on the screen. The other common feature includes WiFi calling support, faster 802.11ac WiFi, and support for Voice over LTE (VoLTE). For making an easy and one hand use, there is a new feature called “Reachability”. This moves the items from top to bottom for easy access. In 21st century to add on for the video features, both the phones have new “Retina HD Display,” with the iPhone 6 featuring a resolution of 1334 x 750 (326 ppi) and the iPhone 6 Plus featuring a resolution of 1920 x 1080 (401 ppi). Overall both the phones have an impressive upgrades from the previous versions and make you feel great to carry it in your hands.